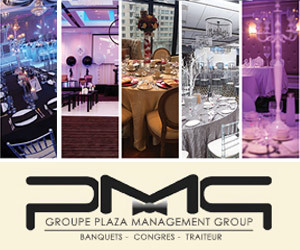 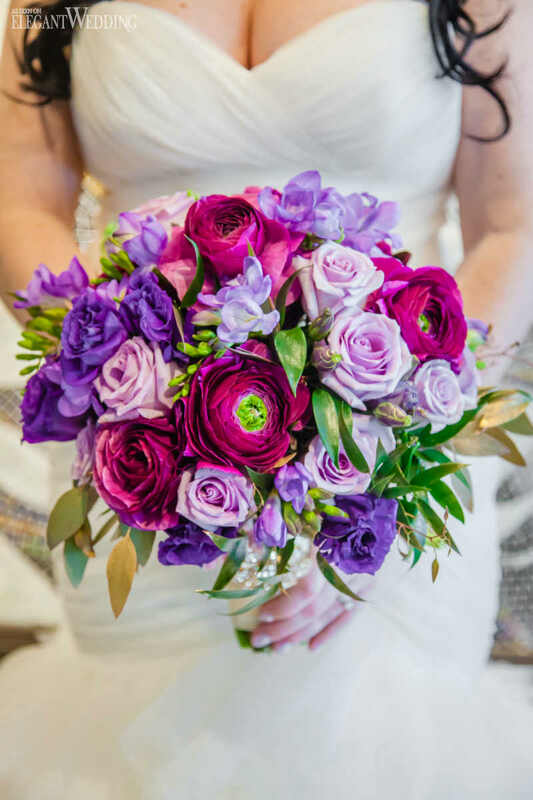 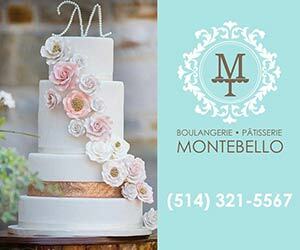 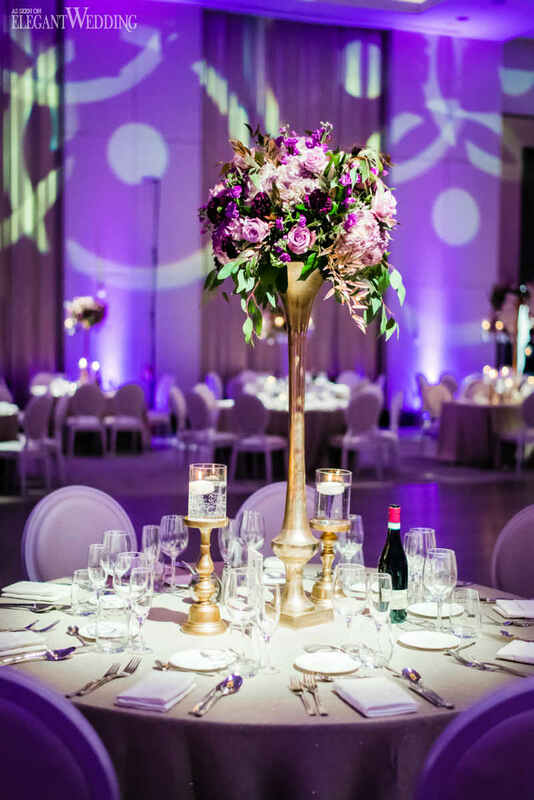 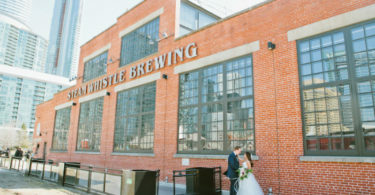 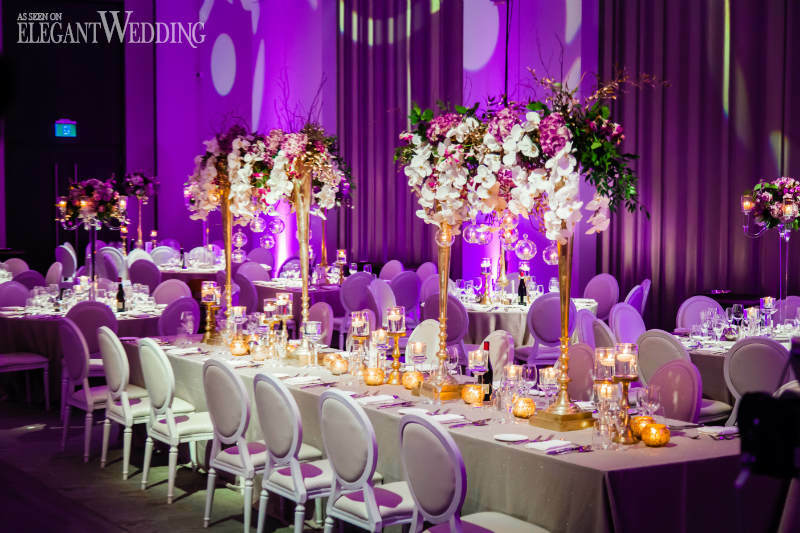 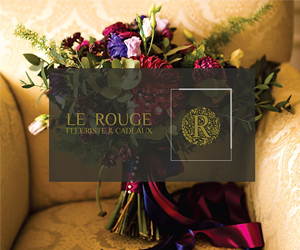 Brides who aren’t afraid of a little colour will swoon over this glamorous purple wedding theme designed La Chic Soirée at Toronto’s Chateau Le Parc. 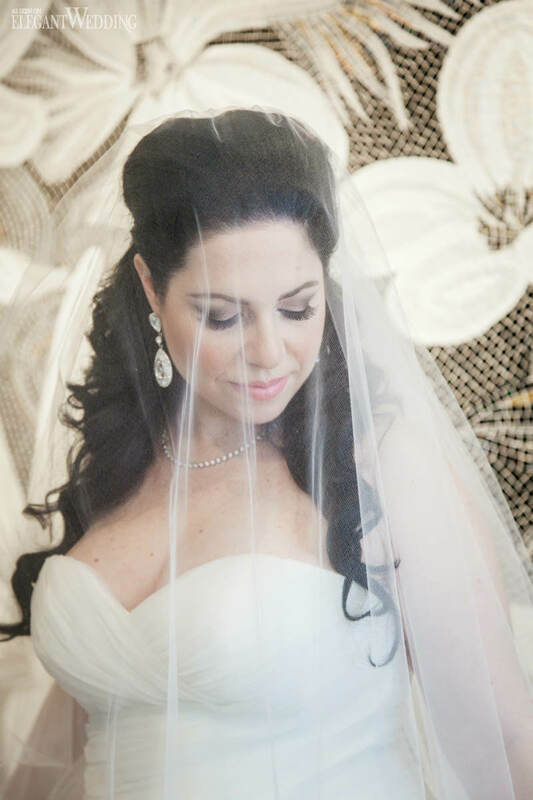 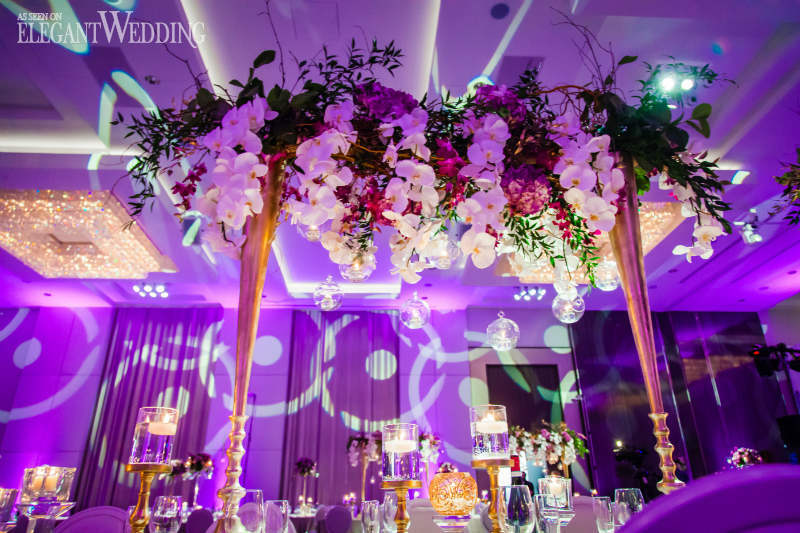 Using mainly orchids from Creations By Gitta, the day’s decor began with a dimly-lit ceremony focusing everyone’s attention to a grand draped chuppah. 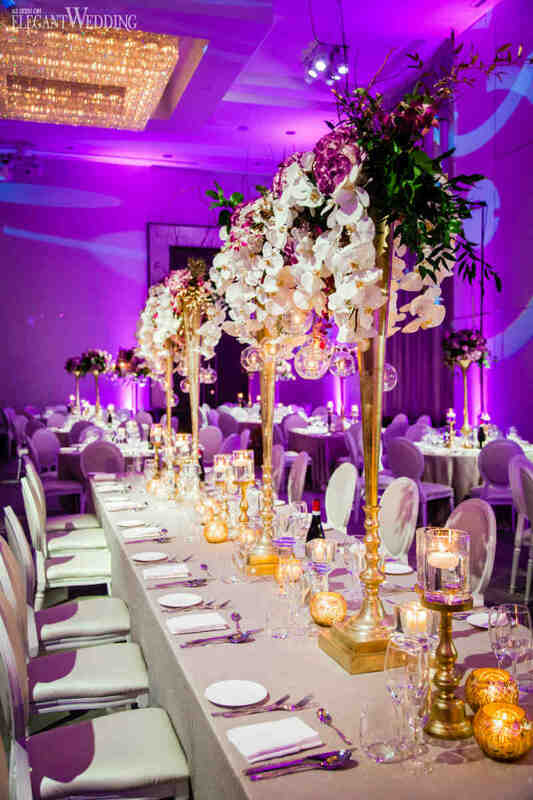 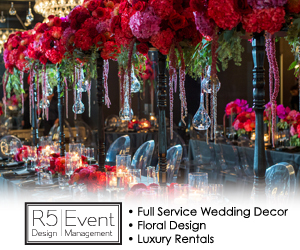 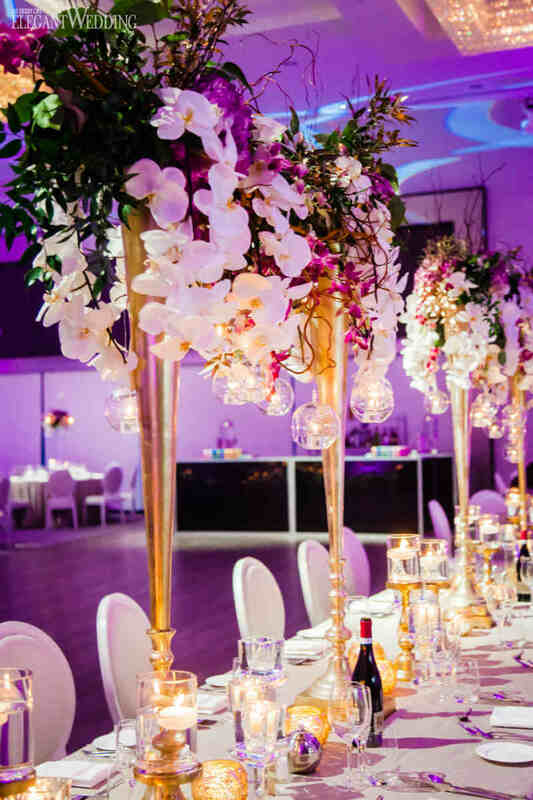 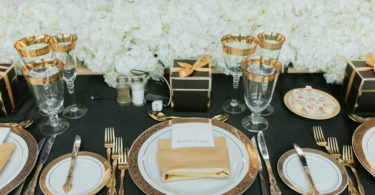 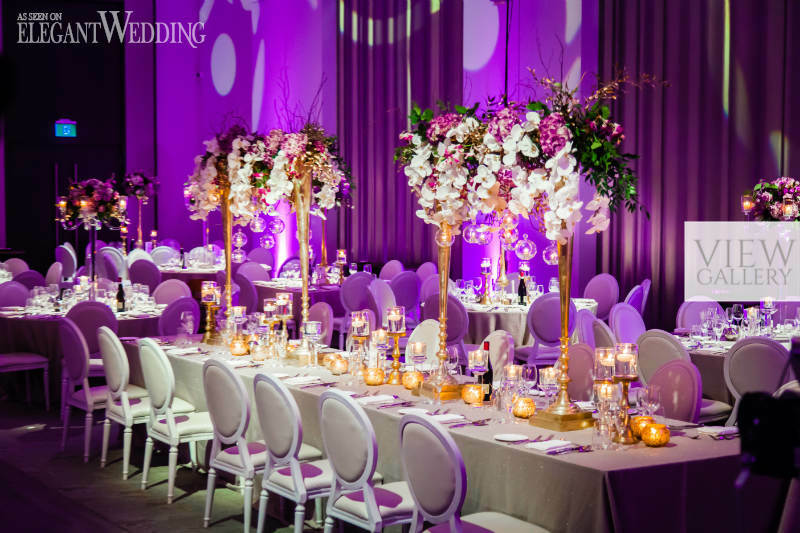 At the romantic reception, guests were “wowed” by tall gold centrepiece stands topped with cascading orchids, purple florals and candles hanging inside glass bulbs at each table. 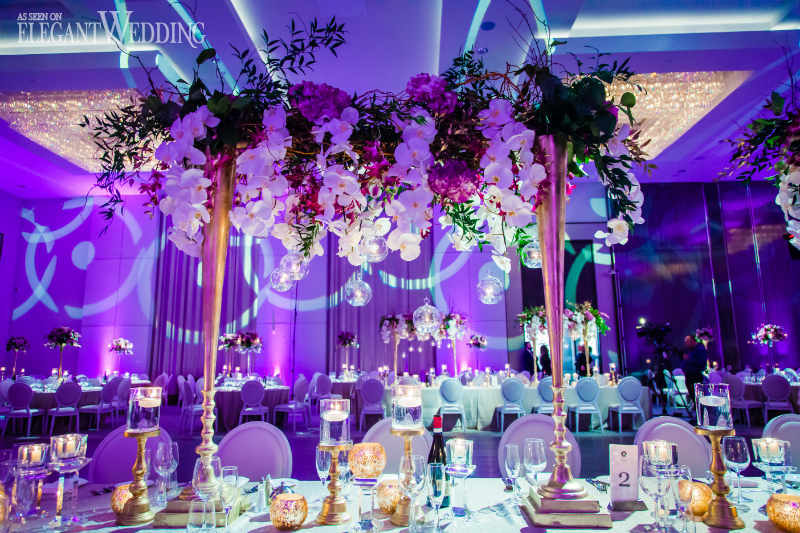 As desired by the bride, purple uplighting covered the entire room from head to toe.